Do you ever feel like you can’t truly be yourself? Like the real you is hidden away, pushed down deep, where it is guarded and protected. Perhaps only let out for the select few, those you can really trust. Why do we sometimes pretend? Do we even know when we are pretending? I can remember being in a science lesson one day when I was about 11 or 12. I am not sure where the teacher was, because at that moment I wasn’t doing science. I was hiding in a cupboard. Why – you may ask? Well it was so that one of my friends could ask another one of my friends, whether they actually liked me or not, or if they were just pretending. The plan was I could then listen from my hide out and suss out where I was at in that friendship. I can’t really remember what happened, in fact, I think it turned out that you couldn’t hear so well in a cupboard. Which was probably not a bad thing. Sometimes it’s best not to know these things. But it is a question that can frequent my thoughts even now. I decided a long time ago that pretending wasn’t for me. It’s too much like hard work. Not that I’ve ever consciously decided to hide or pretend. It’s just something we all do. But however much I decide it’s not for me. I believe we all still fall into the trap of pretending, at times, for both similar and unique reasons. We try to show the best of who we are, whilst attempting to cover over the worst. We all have masks in some form. We all have crafted exteriors that we put on in other peoples presence. We want to present ourselves in a certain way. Who can we trust with the truth of our lives? Who do we let in to our vulnerabilities? Will they accept us for who we really are? We all have masks in some form. We all have crafted exteriors that we put on in other peoples presence. It’s easy to portray an image that looks great but may not be the whole reality. As I wrote about in The Insecurity of Comparisson. Does that mean that we should all put more awful photos of ourselves and share the ins and outs of our disastrous family moments? But we do need to be mindful that we are often seeing the best snapshots of people’s lives. We all have dull mundane days. We all desire to look our best. We all desire to be liked and loved for who we really are. We hope that other people are genuine too. That they are not two faced, pretending to like and love us, when in reality, they don’t. Authenticity has become a bit of a buzz word recently, but it’s a great word. WHAT DOES THE WORD AUTHENTICITY BRING TO MIND? An authentic product is real, not fake. An authentic person is real, not fake. Pretending is exhausting. It’s stressful trying to maintain a crafted exterior. It’s much easier to learn how to be yourself. Authenticity is attractive. It’s easier to be around authentic people. They are not trying to impress or compete with you. They are simply who they are. They have both humility and integrity. They are not consumed by maintaining an act. 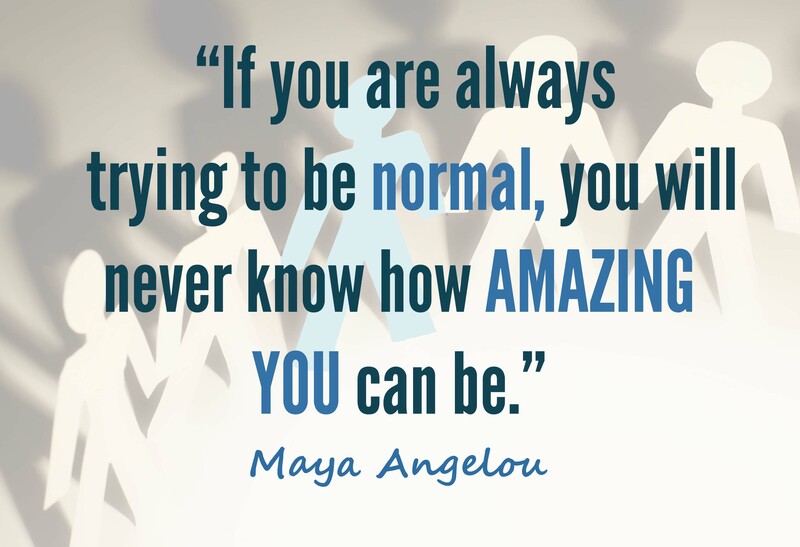 The problem is it actually takes a lot of courage and strength to be yourself. To be real about your best and worst parts. Your strengths and your weaknesses. It certainly doesn’t mean telling everyone everything, or not being professional. We still all need to have self control. We don’t all need to wear our hearts on our sleeves. (That can be just as exhausting as hiding it, for you and everyone else). No one likes a perpetual moaner. Sometimes we need to put how we really feel aside and get on with the job in hand. Parents, professionals, leaders and those in any positions of responsibility have times, days and seasons where they have to put their own feelings aside to do the right thing. However, having wisdom and self control in what we say and do are different from outright pretending. Pretending can actually be deceptive. Sometimes we need to face up to the reality of our lives and do something about it. People can be both professional and authentic. It takes a lot of wisdom, but it is possible. We don’t have to separate our life out into segments where we are different people in different environments. We can all be genuine in what we do. It is good to reflect, to work out what makes us tick. To think through who we want to be and whether we are living life in line with our values and dreams. How can I be more authentic, whilst maintaining wisdom, self control & integrity? There is freedom in discovering who you really are. 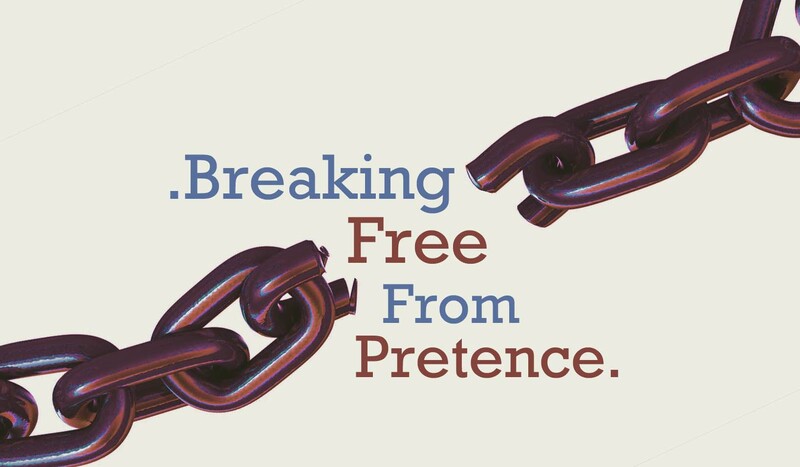 This post is part of my .Breaking Free. series of posts. Click here to see posts on Breaking Free from Fear, Worry and Discouragement.